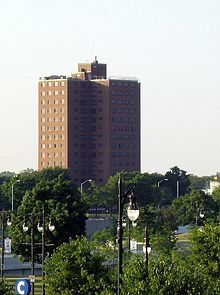 Florence Ballard, Mary Wilson, Diana Ross, and Betty McGlown, the original group, are all from the Brewster-Douglass public housing project in Detroit. They formed the Primettes as the sister act to the Primes (with Paul Williams and Eddie Kendricks, who went on to form the Temptations). Barbara Martin replaced McGlown in 1960, and the group signed with Motown the following year as the Supremes. Martin left the act in early 1962, and Ross, Ballard, and Wilson carried on as a trio. Public magazines such as Time and The Detroit News commented on the Supremes' polished presentation. Time called the Supremes "the pride of Detroit" and described them as "three thrushes who have a touch of gospel and sweet lyrics like 'I'm standing at the crossroads of love'." Arnold S. Hirsch of The Detroit News said about the Supremes: "they don't scream or wail incoherently. An adult can understand nine out of every 10 words they sing. And, most astounding, melody can be clearly detected in every song." 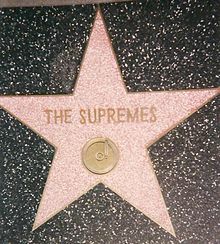 In addition, unlike most American vocal groups, the group members became easily identifiable by their fans, thanks partially to the cover of their album, More Hits by the Supremes, which each member was pictured separately on the front, with her signature above it. ^ "YouTube". Youtube.com. Retrieved October 23, 2014.